Our highly skilled woodworking artisans and master furniture makers expertly craft each piece of hard wood butcher block from locally harvested hard wood. Woods like Oak, Hard Maple, Cherry, Walnut and Hickory are used to craft beautiful hard wood butcher block. 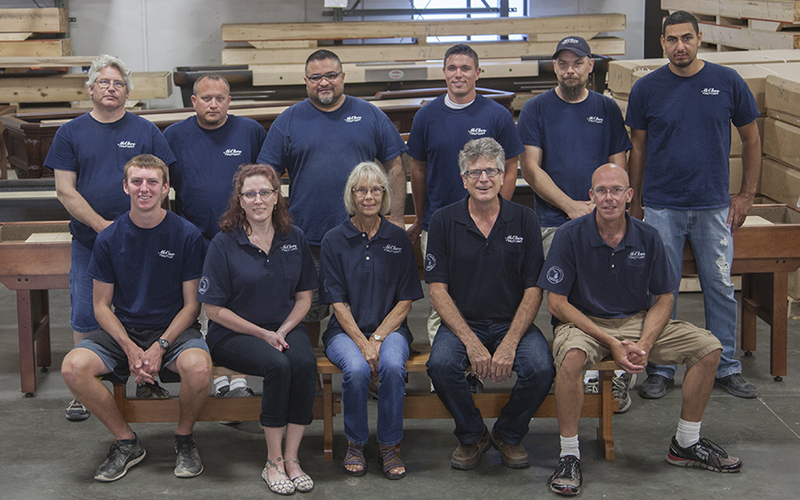 Most of our craftsmen have over 20 years experience working with wood and building furniture. From back left: Robert, Jim, Jose, Travis, Dan and Alfonso. From front left: Spencer, Heidi, Judy, Todd and Brian. This is the McClure family!